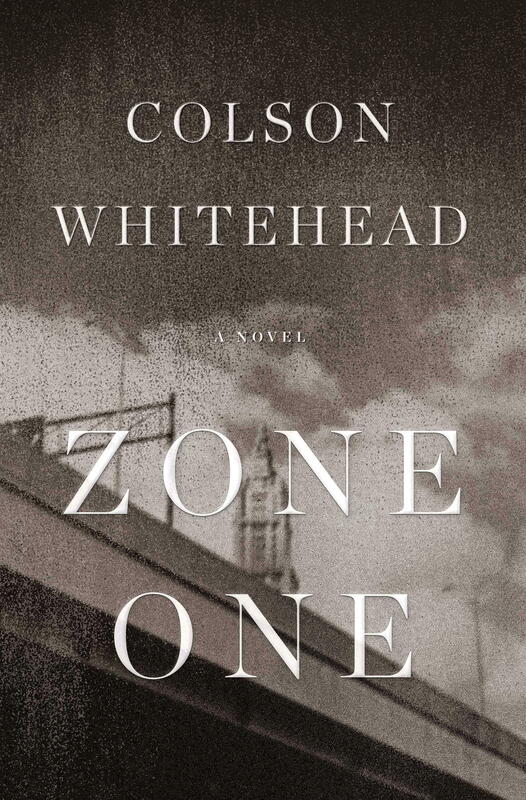 A couple of years ago I wrote in my usual year-end recap that I had attempted, for the second or third time, to read Colson Whitehead's novel Zone One (2011), and once again found it frustrating and off-putting. I remember having a similar initial reaction to Margaret Atwood's novel Oryx and Crake, which I eventually came to love and now see as easily one of the best science fiction novels of the 21st century so far. I wanted badly to love Zone One, given my general love of all things zombie-related, but it wasn't until the summer after my preliminary exam, after having read and really liked his earlier book The Intuitionist, that I sat down once more determined to get through it. This time through I still found it dense and over-written in places, but getting to the end felt satisfying in a hard-to-describe way. I took a chance in the Fall when I put together my syllabus for "Zombie Apocalypse: Economic Plague Monsters at the End of Capitalsm" and it came down to a choice between either it or Max Brooks' zombie novel World War Z. I re-read both, discovering that I liked Zone One better overall than World War Z. It was a risky, difficult book to assign to first-year college students because if it turned out they disliked it as much as I did the first couple of times I tried to read it, I thought I might have a hard time getting them to connect to the text and successfully complete the course. I've had my students tackle Dune before and Oryx and Crake and a number of other dense texts, so I thought it might work, but I knew going in it was going to be tricky. Like Oryx and Crake it's the sort of novel that really comes alive in audiobook format, and so when I assigned it, I all but insisted my students read it along with the audio version, which they were hesitant about at first but soon agreed was definitely the better way to experience it. This last time through, I found I could finally piece together the timeline (which I made an entire lecture/lesson of in class) and once I had that part, the story seemed quite a bit more cogent and entertaining. I taught it alongside Danny Boyle's terrific zombie film 28 Weeks Later, a rare sequel that improves on its original source material, and in my opinion second only to Dawn of the Dead (if even second to that one) as the best-ever zombie film. It had the added advantage in this case of being a film set in a major city in the aftermath of a zombie outbreak, and while the thematics are obviously different it had enough in common with Zone One's plot that it gave my students a similar aesthetic vision to chew on. The ending of Zone One is ambiguous, in a way not unlike I Am Legend, and my students seemed to appreciate that, and they made much of what it meant. Ultimately I think I'm happy I chose Zone One instead of World War Z because, even though Max Brooks' novel is quite a bit easier to read, it's heavy on form and concept and lighter on atmosphere and pathos, whereas I tend to prioritize the opposite in a novel meant to be an entry point to zombie discourse for a first-year college research writing class. So with that, I'd revise my earlier opinion and say Zone One is worth your time, but be prepared for it to feel unlike a floor-model zombie narrative, and be ready to wade through a denser-than-usual linguistic exercise to get to both the plot and the zombie-slaying heart of the novel. It pays off, but you'll need to meet it halfway.